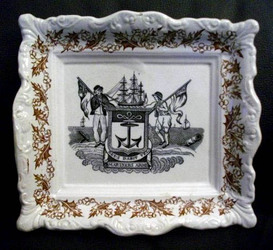 The plaques above have the latin motto 'DEUS DABIT VELA', which translates as 'God will fill the sails'. 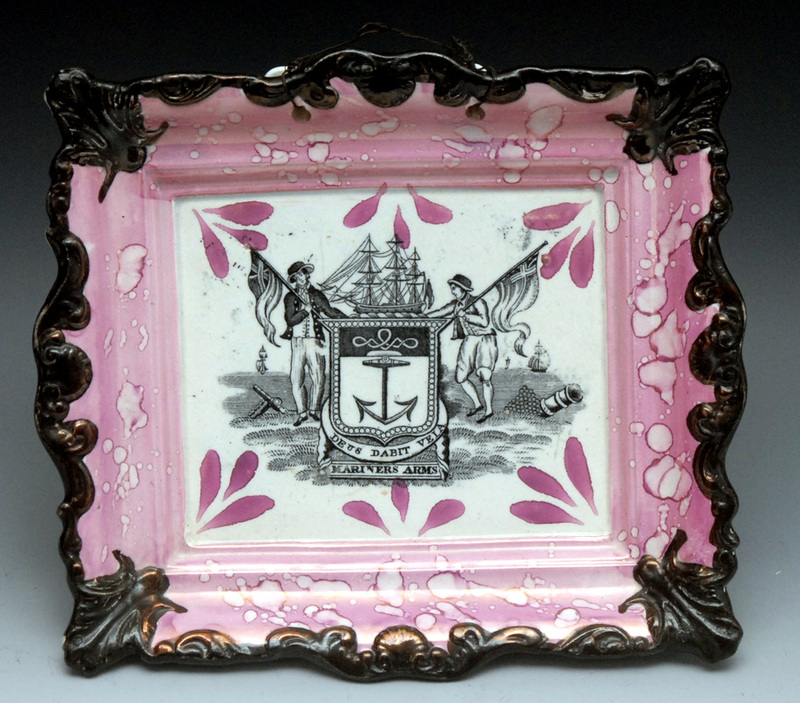 The first two plaques, c1845-55, are attributed to Newbottle High Pottery. 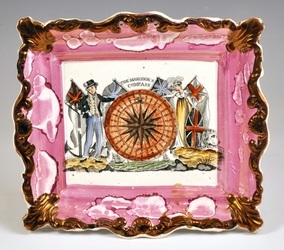 The next three have transfers from the same copper plate but are attributed to Moore's, c1860. 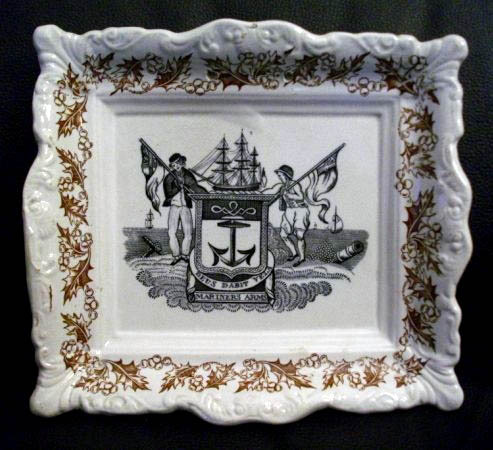 The plaque with the leaf border pairs with the Gardener's Arms on the Emblems and armorials page, from an as-yet-unidentified pottery. 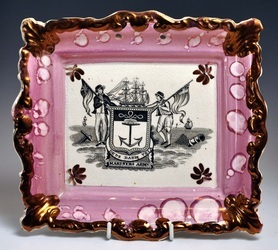 The first plaque aboves is attributed to Moore's, c1860s. 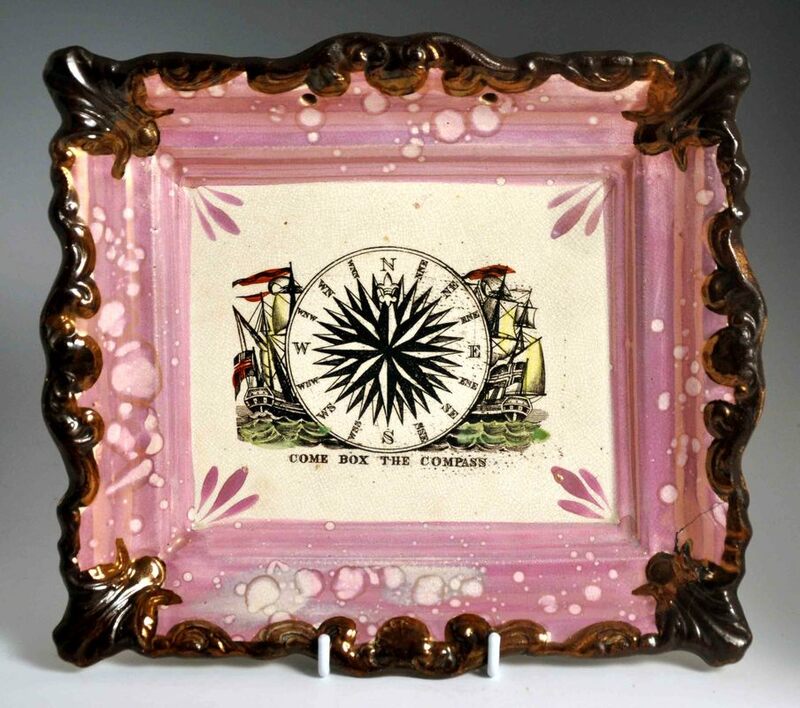 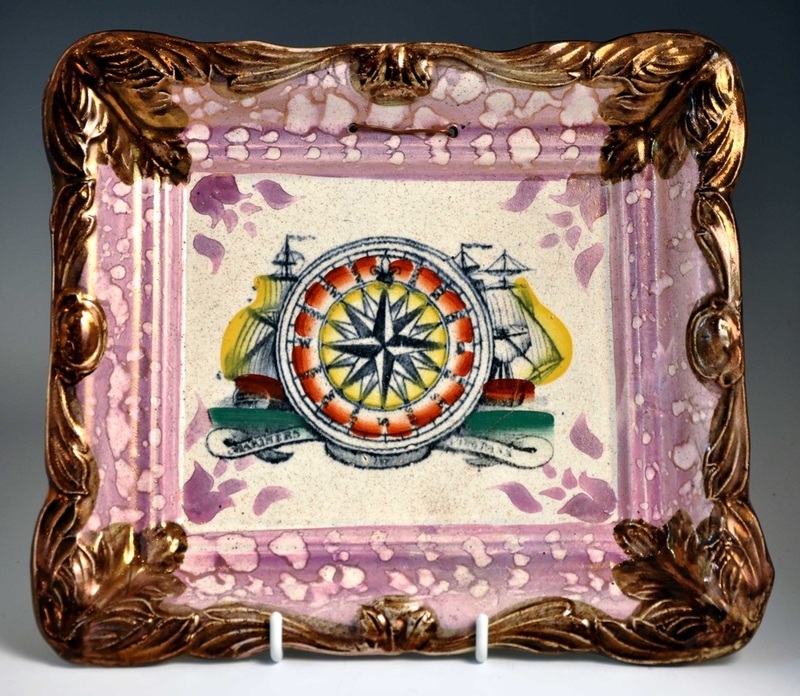 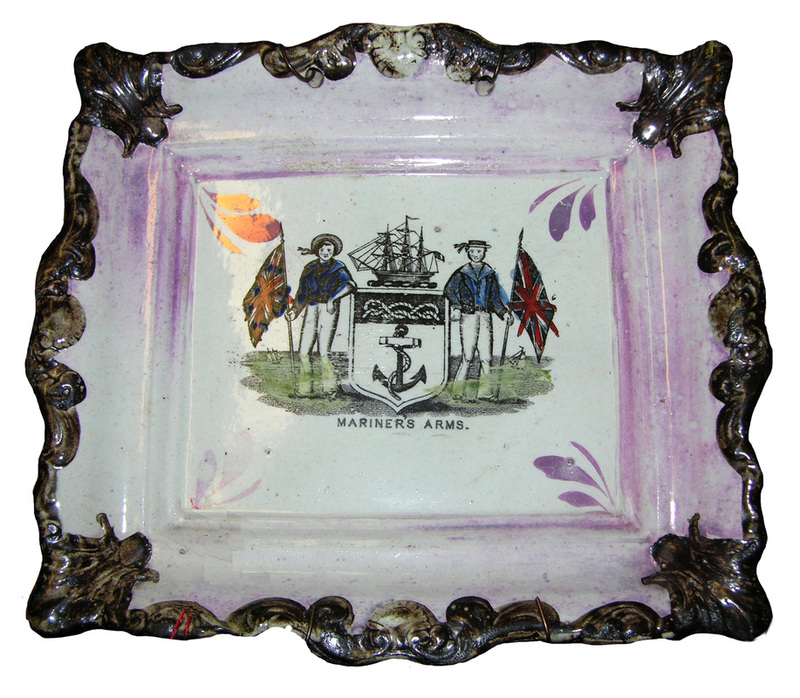 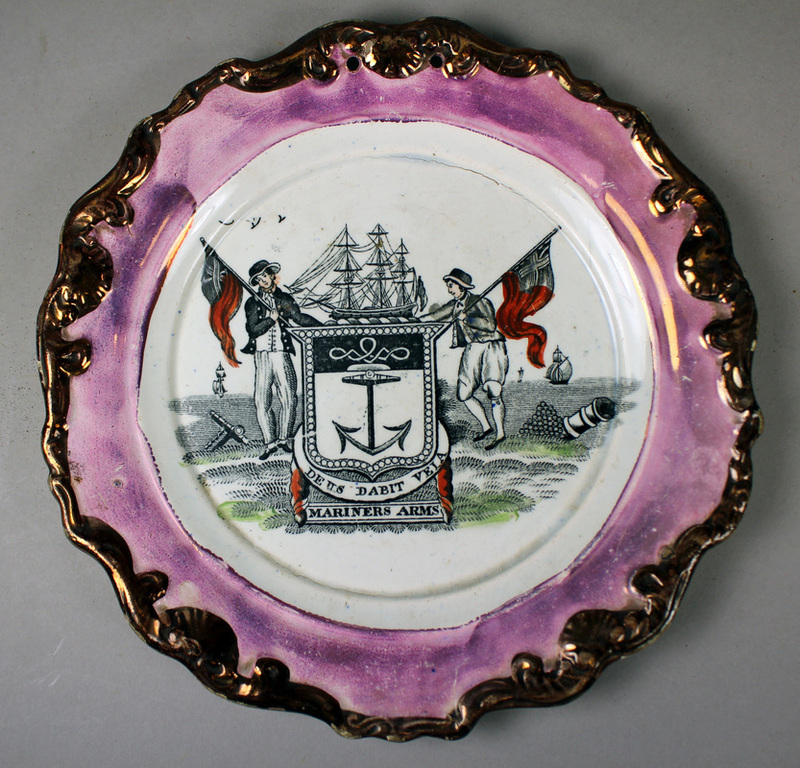 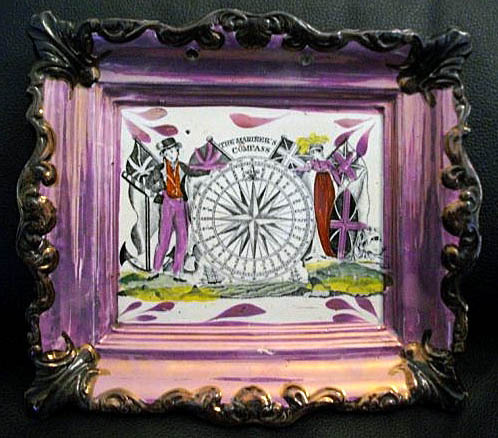 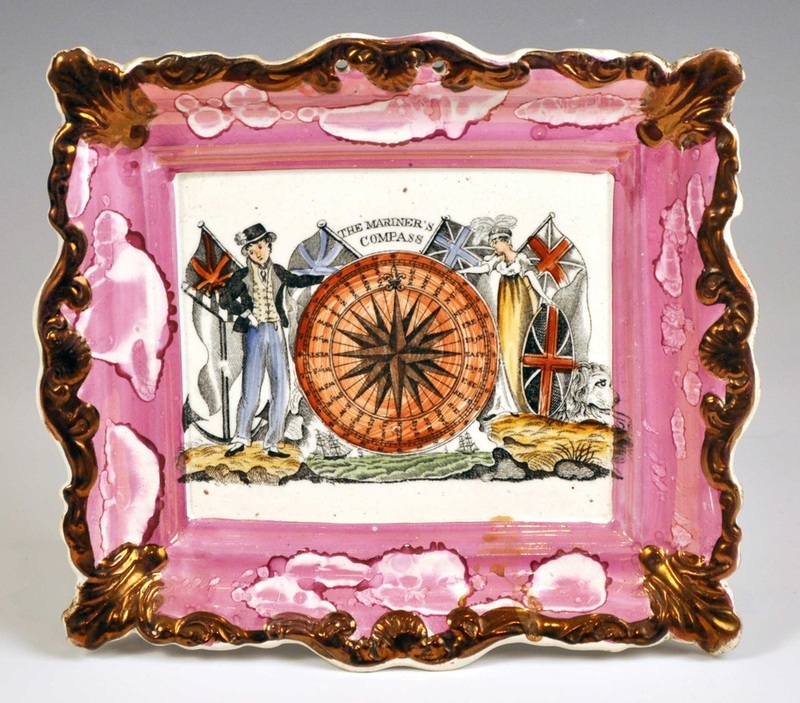 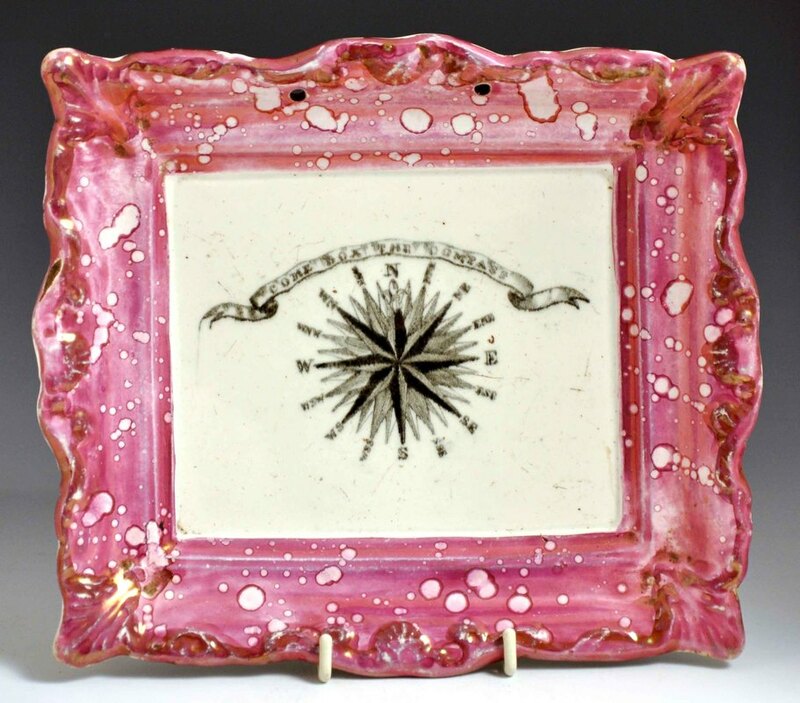 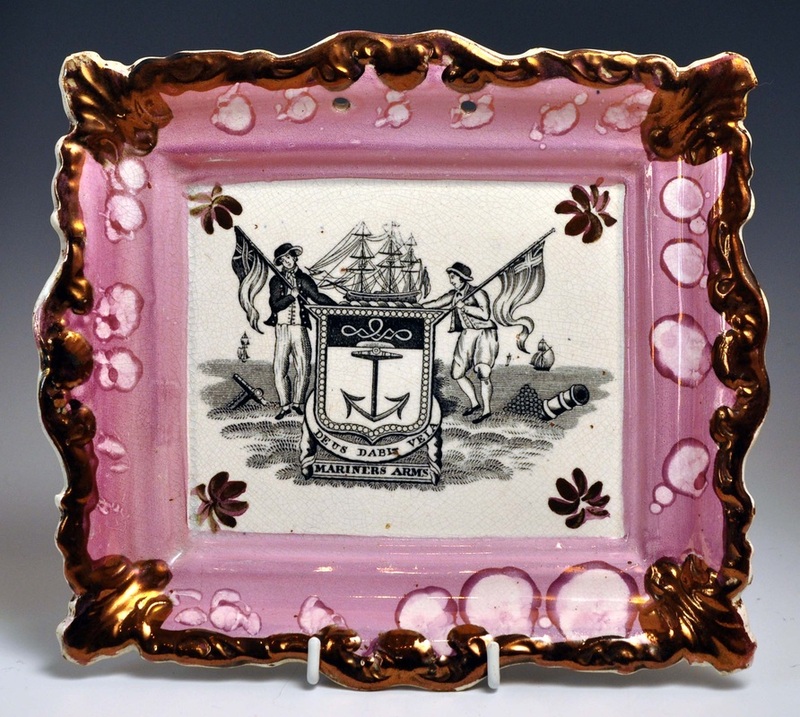 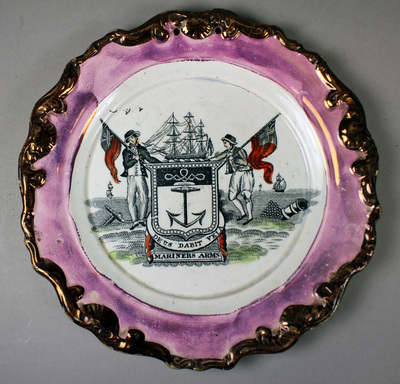 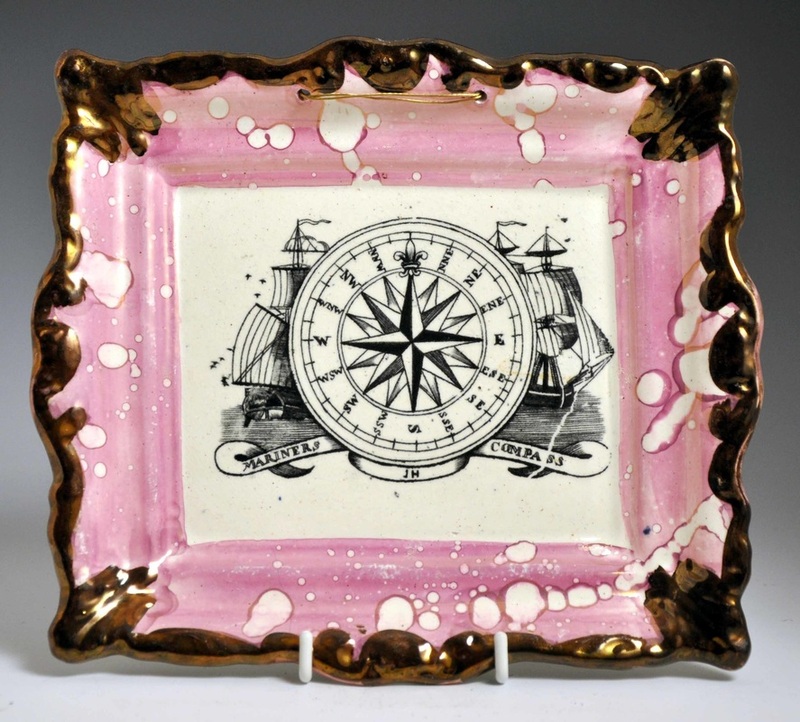 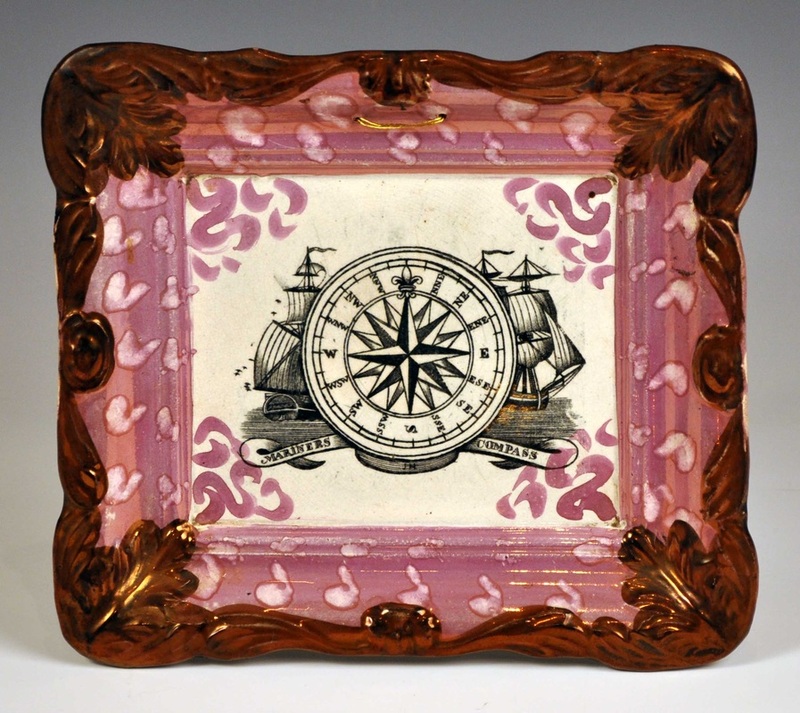 The orange plaque, from the same transfer plate, is attributed to Scott's, c1870s. 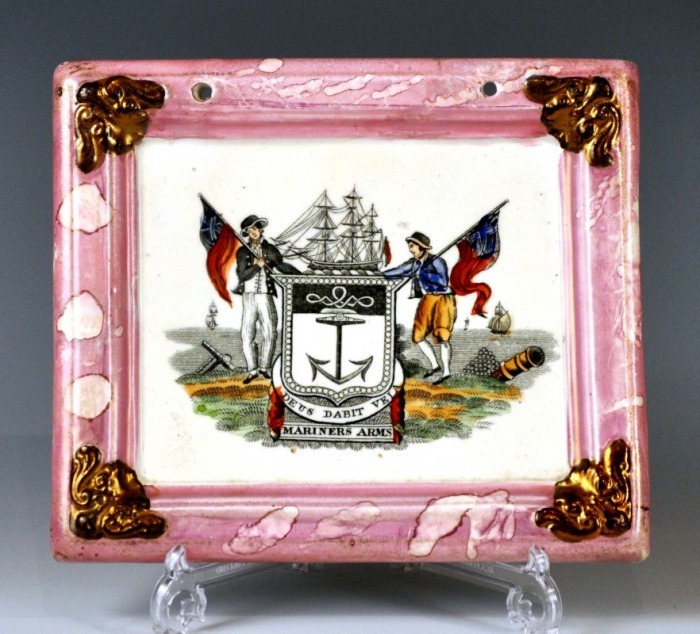 These plaques are extremely rare. 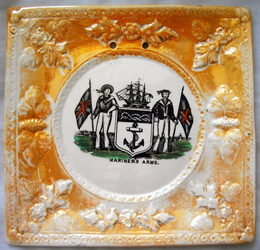 The transfer more commonly appears on jugs and bowls, most often with orange lustre. The first plaque above has the initials 'JH' under the compass. 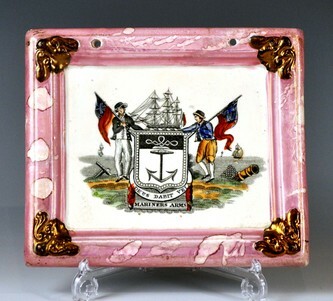 On the second and third plaques, attributed to John Carr's Low Lights Pottery, the initials have been partially shaded out. 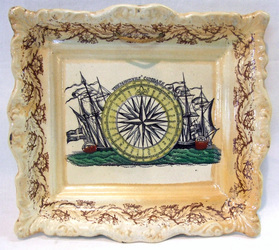 The first two plaques above are from the Garrison Pottery (Dixon). 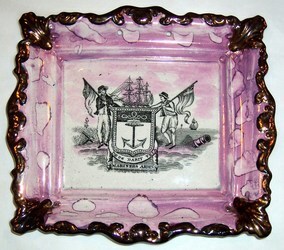 The third plaque The plaques is clearly printed from a different transfer plate. 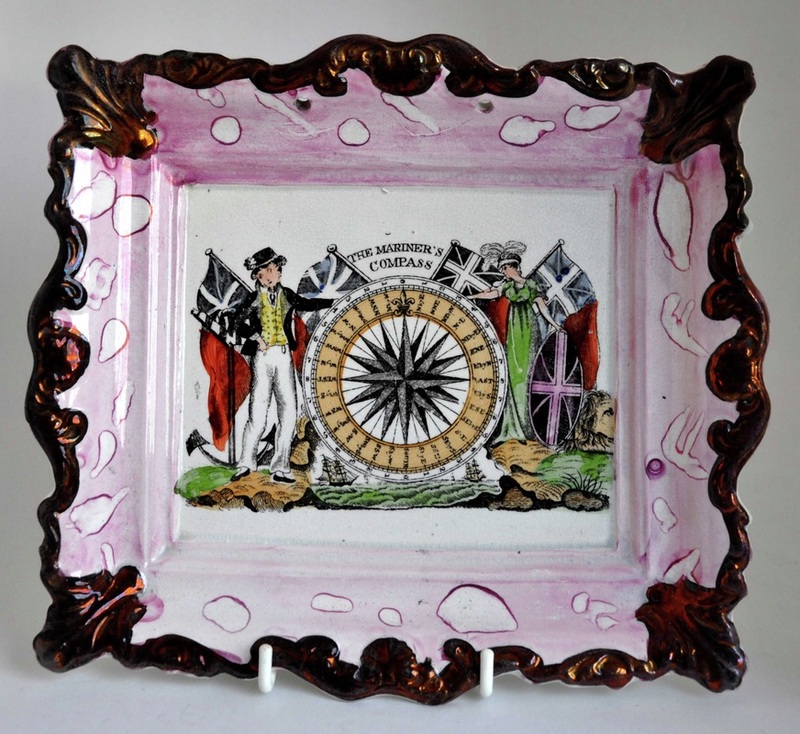 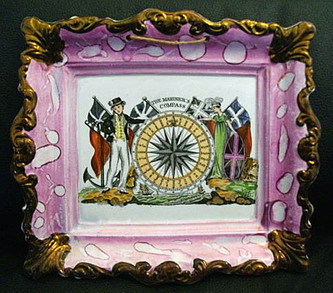 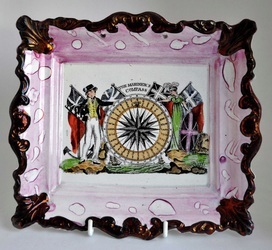 The Dixon version is titled 'Mariner's Compass' and the leaf-bordered plaque 'Mariners' Compass' – note the position of the apostrophe. 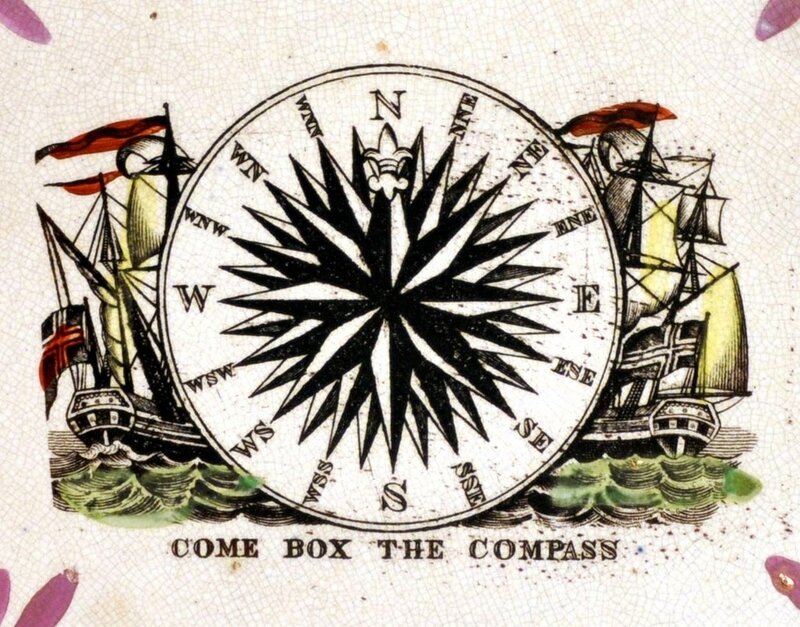 Several variations of decoration of perhaps the most attractive version of the Mariner's Compass are shown below. 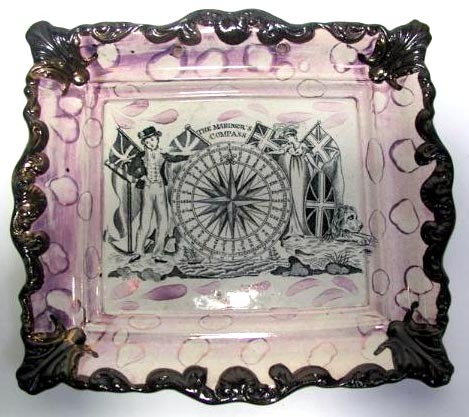 The figure on the left appears to be a young John Bull with an anchor, and on the right is Britannia with a lion and shield. 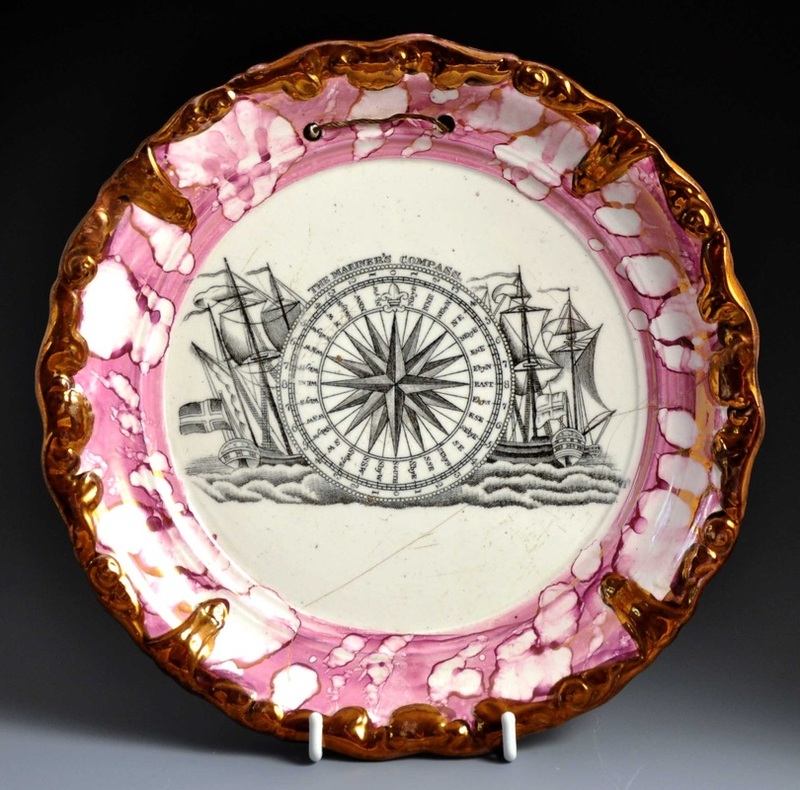 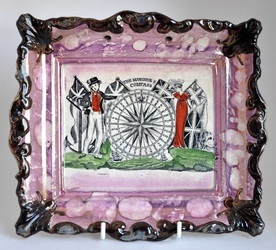 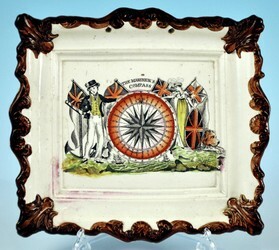 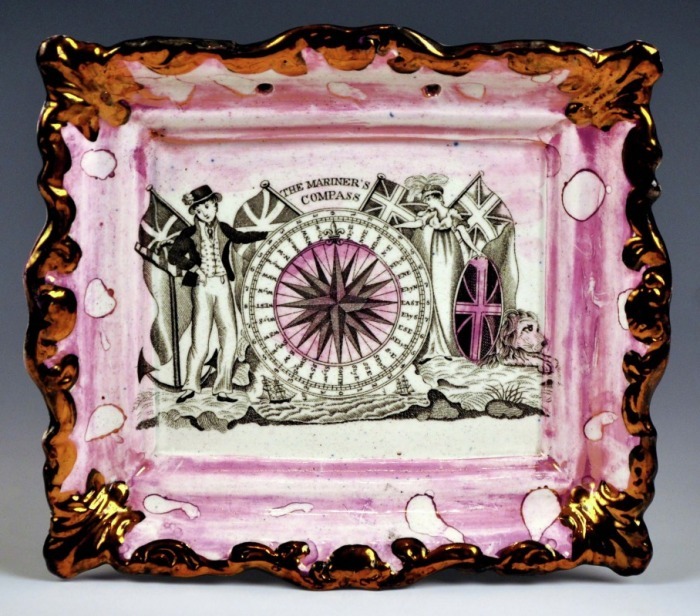 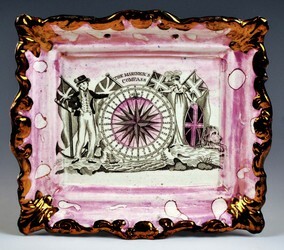 The first four plaques are attributed to Newbottle High Pottery, c1845-55. The rest are attributed to Moore's, c1860s. Above left, a Tyneside plaque, likely Maling, from circa 1850. 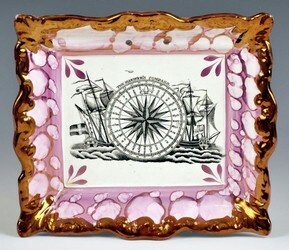 Above right, a Moore's plaque from the 1860s or 70s. 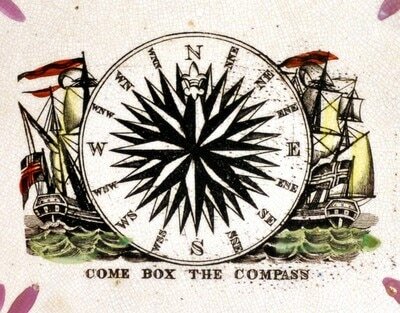 Both titled 'Come Box the Compass', and extremely rare. 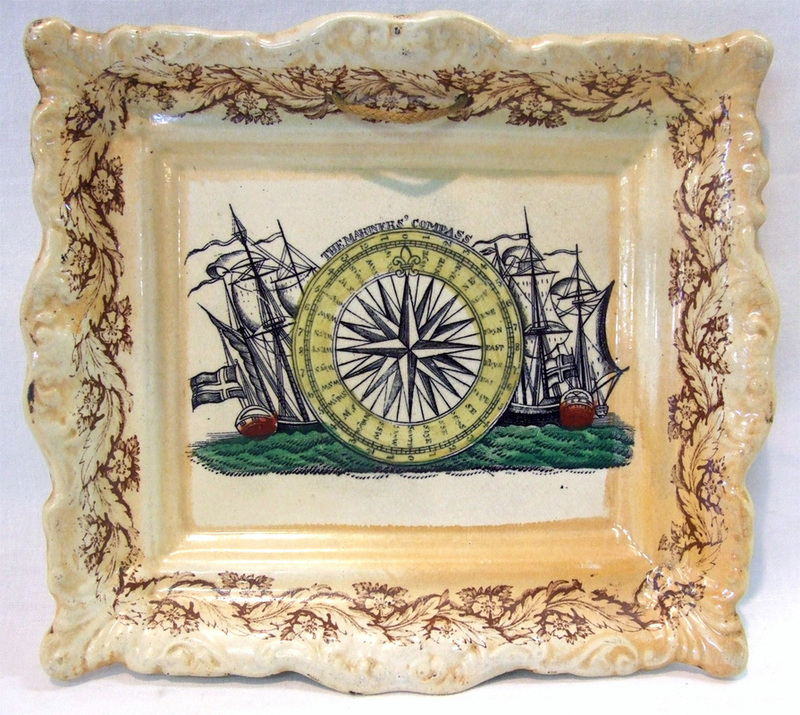 The transfers more commonly appear on jugs and bowls.